Getting a vocal performance right means so much more than hitting the right notes at the right time. Sometimes you get that almost perfect performance with perfect feel and presence, but the singer might have missed a few notes. That's when Neptune can save the day. 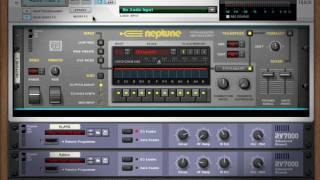 Neptune is an advanced pitch adjuster, audio transposer and voice synth. As a pitch adjuster, Neptune will fine tune the pitch of an audio track to help getting your vocal performances just right. Neptune will fix the flat notes with an unbelievable audio quality . You can select a root key and a scale that you want the adjuster to use, or create a scale that fits your song. And, yes. By cranking the pitch adjustment settings to the max, you can get that effect sound too. 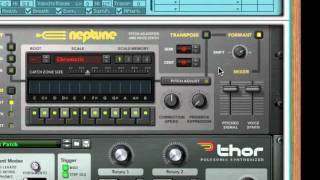 Neptune is also a natural sounding audio transposer. This is a great help if you ever needed to change the key of a song that's already been recorded. Perhaps the most creative-sparking function in Neptune is the voice synth. 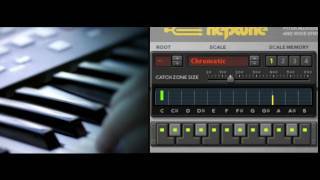 Play your MIDI keyboard and Neptune will create new harmonies from your vocal tracks in real time, or use it without the original voice to completely change the melody of the song. Endless creative options!